Chevrolet’s steely-eyed focus shown in 1905 and 1908 was noted by William Durant, chairman of General Motors, who wanted to promote Buicks through auto racing. By 1909 Durant hired both Louis and younger brother Arthur. Both worked on the cars, but Louis joined Lewis Strang and Bob Burman, men with all-out driving styles similar to Chevrolet, as teammates. All three drivers won their share of races at dirt ovals and hill climbs. 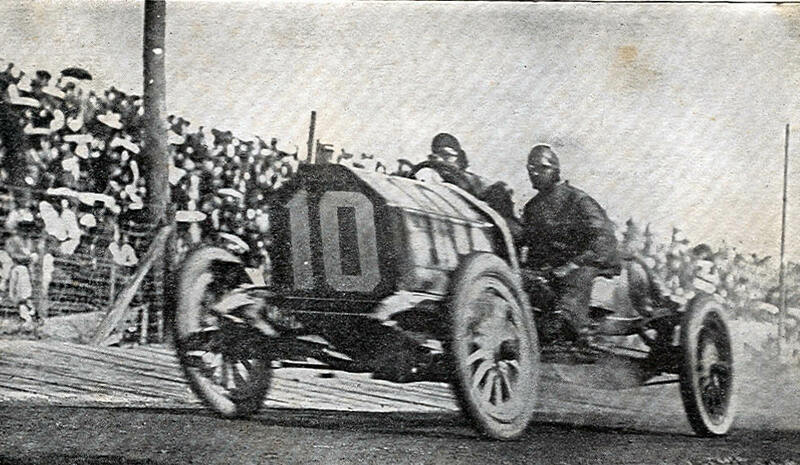 Chevrolet's most significant win of the year was in the #10 Buick at Indiana’s Cobe Trophy Race at Crown Point, a 396-mile road race. Notable, too, was Chevrolet’s participation in the first auto races at the Indianapolis Motor Speedway August 19-21, 1909. Chevrolet led a Buick 1-2-3 sweep of a 10-miler while setting the world’s track record for the distance at 67.114 miles per hour. Later that day he was ready to earn greater honors when he stormed into the lead in the 250-mile Prest-O-Lite Trophy Race. Teammates Strang and Burman were immediately behind him for another Buick sweep. It unraveled at 125 miles when a stone shattered his goggles and scattered shards of glass into Chevrolet’s eyes. He was treated at the infield hospital. 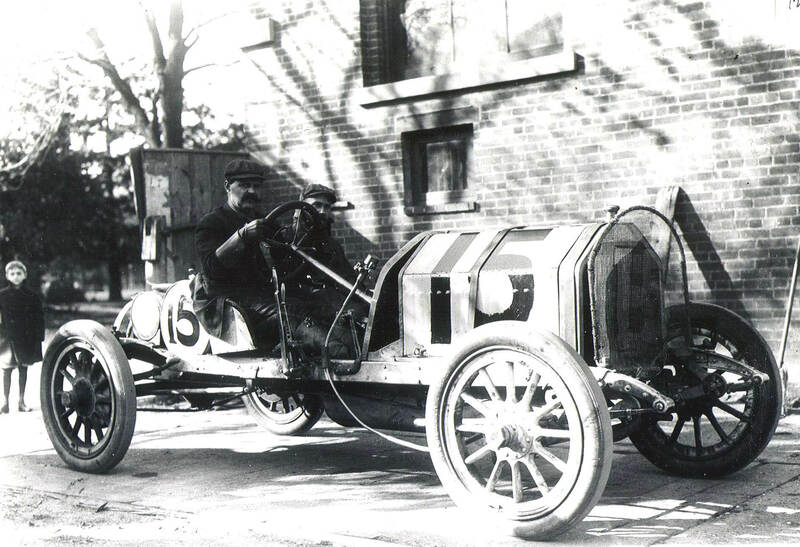 Chevrolet found more misfortune at the 1909 Vanderbilt Cup Race on October 30th. Here he can be seen at the official weigh-in for his #15 Buick prior to the race. After challenging Spencer Wishart's Mercedes, he seized the lead for 60 miles of the 279-mile race. He set the fastest lap with a 76.3 miles per hour tour of the 12.64 mile course, but a broken connecting rod cracked a cylinder on lap 5. Chevrolet finished 11th of the 15 entries. Chevrolet was back with Buick in 1910 but it was a frustrating and tragic year. His most important races were the May and July race meets at the Indianapolis Motor Speedway and the October running of the Vanderbilt Cup Race. 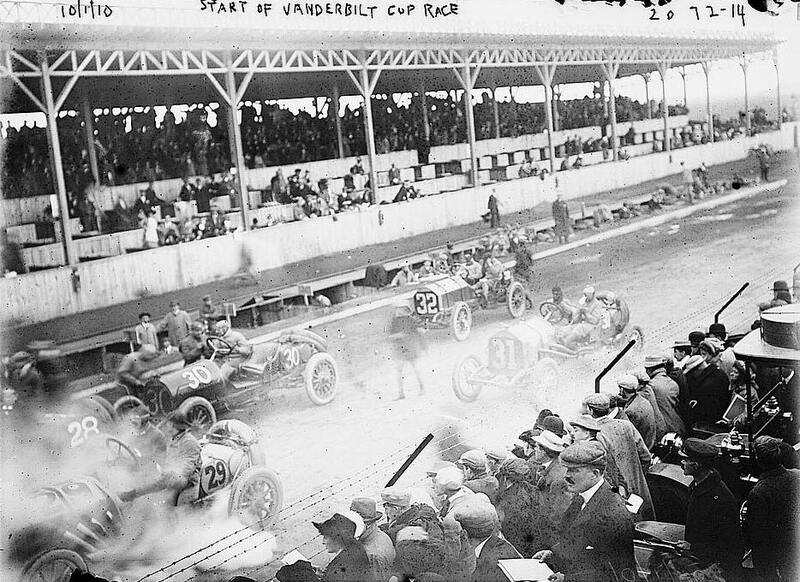 In May at Indianapolis, Chevrolet got off to a great start with a victory in the first race of the meet, a five miler. He only entered three of 22 races, winning a 10 miler on the third day, Monday, May 30. The other race was the 200-mile Wheeler-Schebler Trophy Race where engine problems ended his day early. 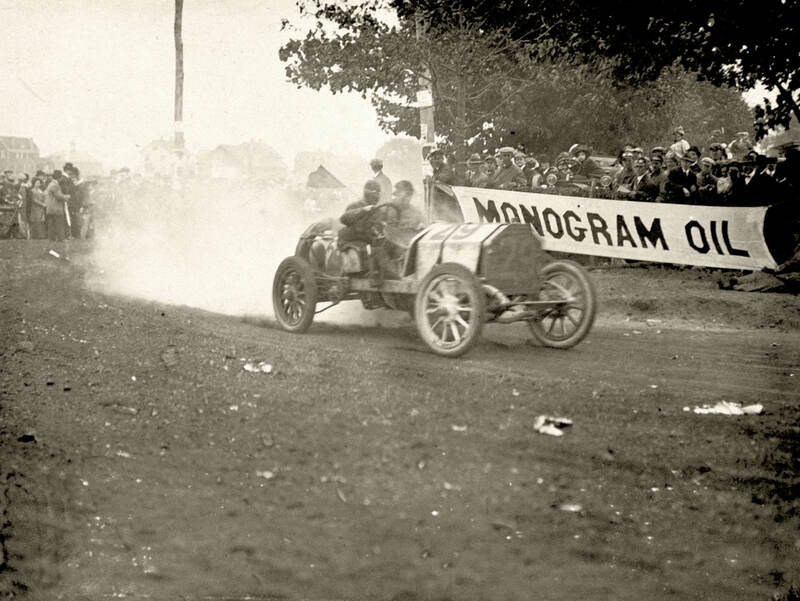 The July race meet at the Indianapolis Motor Speedway originally appeared to be a success for the Buick team. Chevrolet and Burman picked off seven of 23 events, with five 1-2 sweeps and 26 speed records during three days of competition. All this was nullified on July 29 when the AAA determined that the cars, called Marquette-Buicks, actually did not conform to rules established for stock equipment. Not enough of the models had been manufactured. Unfortunately, the worst was yet to come. 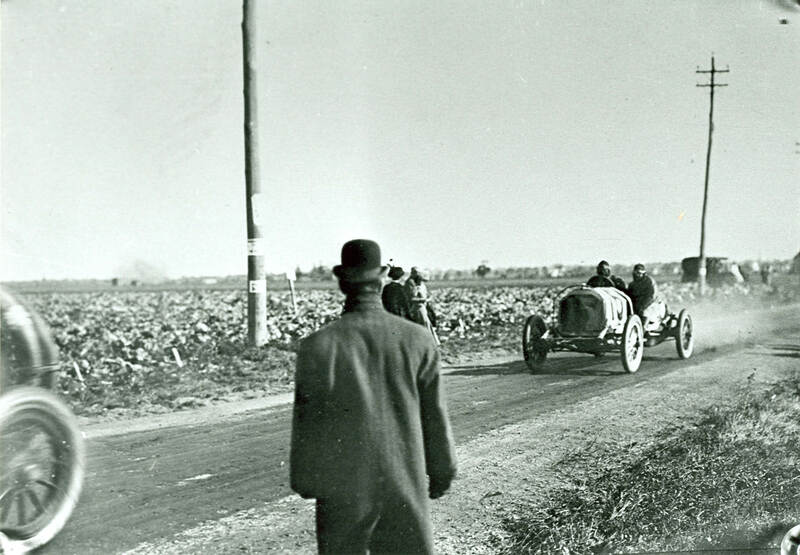 For the 1910 Vanderbilt Cup Race, Chevrolet drove the #29 Marquette-Buick shown here at the Long Island Motor Parkway grandstand just before the start. Chevrolet dominated early until a faulty magneto forced him to pit. He fell well back from new leader Joe Dawson’s Marmon, but began a relentless push forward. Slicing his way through the field, he again seized first place on lap 14. Suddenly, one of the Buick’s wheels became wedged in a rut and snapped the steering mechanism. The car slammed into a parked street car in Hicksville, crashed through a fence and into a tree before landing upside down in front of a farm house. Chevrolet was thrown from the car, wrenching his shoulder. 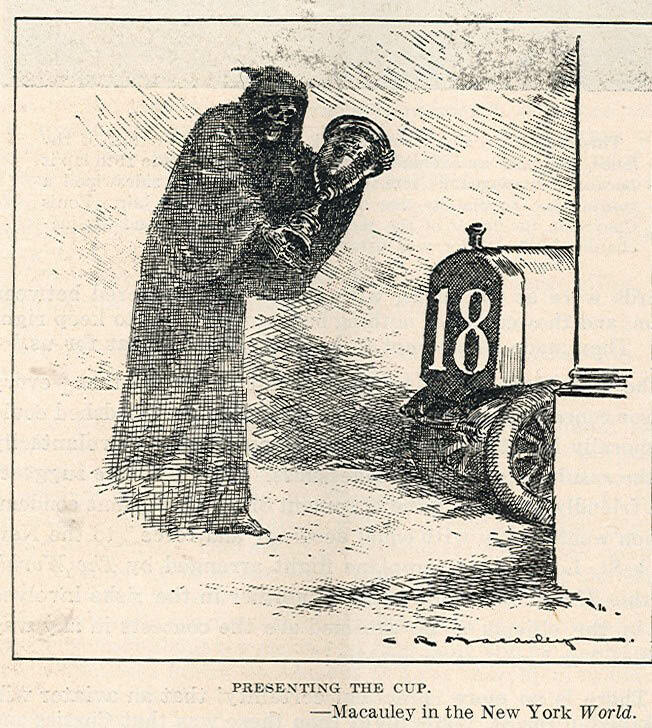 His riding mechanician, Charles Miller, was pinned and died on the spot. The tragic end placed Chevrolet 19th of the 30 entries. 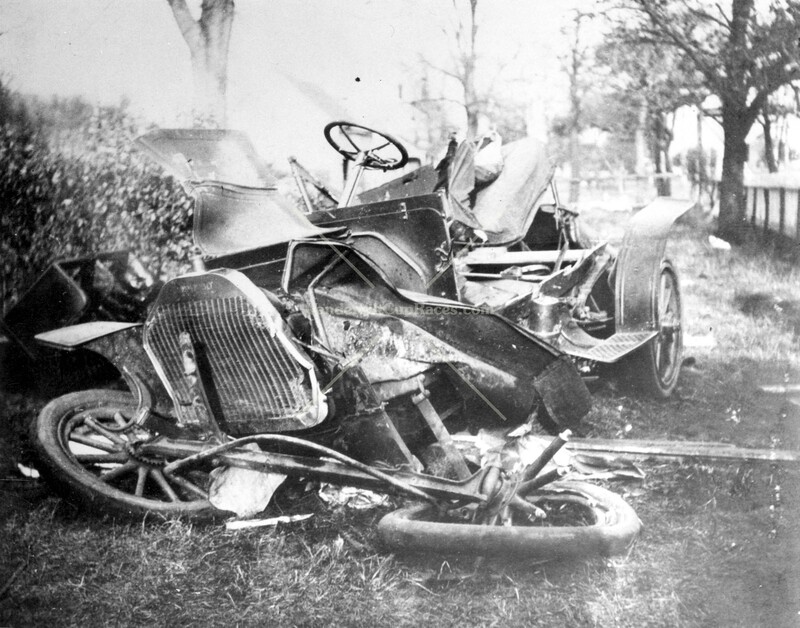 In addition to Miller's death, Matthew Bacon, the mechanician for driver Harold Stone, was killed in a first-lap accident when their Columbia car leaped over the Newbridge Avenue Bridge in East Meadow. The two deaths, accidents and continuing poor crowd control put an end to road racing on Long Island. For more information on Chevrolet's life and racing career, read a summary of his racing stats and this excellent profile by Dr. Mark DeSantis.